If you enjoy crafts, you know how much it costs to purchase the supplies. And after a major project, you may well end up with extra supplies you no longer need. So it makes sense to find a place to sell your excess materials. Selling extra craft supplies can take a bit of work, but it potentially can pay off financially. The trick is to understand what types of materials might sell, and where to try selling them. Here's a guide. 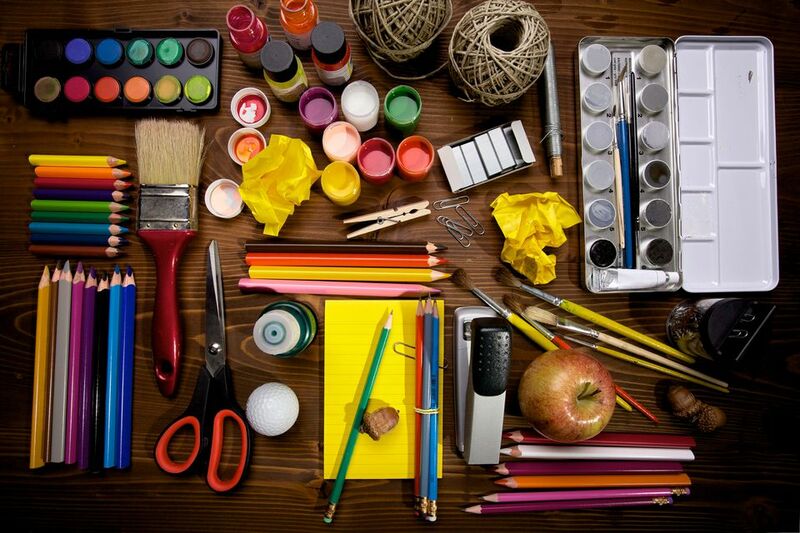 What Spare Craft Supplies Sell Well? Regardless of what the supplies are, it's essential that they be in excellent condition for resale. Not everything needs to be new and unused—for example, gently used scrapbooking tools and rubber stamps potentially will sell, as long as they're clean. However, some types of craft supplies won't sell if they appear "used." You're not likely to get far trying to sell yarn that's no longer in its original spool or paints that have been opened. Once you've cleaned up your spare craft supplies and inventoried what you have, it's time to try selling them. First, ask around among your friends and acquaintances. Many crafters are active in groups for their crafts, and that would be the best place to start when looking for a new home for your extra supplies. You may sell everything without having to write a single online listing. If talking to friends doesn't yield anyone who wants your supplies, you can try running an ad in a local craft guild newsletter, or renting a table at a craft show. These approaches often bear fruit, and many not cost much. Ebay.com is another option, especially if you already have an account there and sell other items (if not, setting up an account is fairly simple). There can be tens of thousands of listings for craft supplies on Ebay at any given time, and Ebay is an especially good option if you have many craft supplies that you'd prefer to sell as one large lot, as opposed to separately. Listing on Ebay is free, but if you sell your supplies, you'll pay a small percentage of the sales price to the site as a fee. Craigslist.org also hosts many listings for excess craft supplies. It's an easy site to use, and it's completely free. However, you may get better prices for your items on Ebay. Finally, if you already have an Etsy.com store where you sell your handcrafted items (or even if you don't), you can consider selling your spare craft supplies there (search for "destash" to see the huge selection of what's for sale). Etsy has a variety of rules you'll have to follow, and you'll do well to familiarize yourself with them before posting items for sale.